Springtime is a time of life. We have plants coming back from death, animals coming from the ground, and life just coming back in general. But we also begin to see a rise in thunderstorms, and with that, the threat of tornadoes, the most destructive type of weather that nature can produce. But where do they come from, and why? Tornadoes are mysterious in some ways, but they generally come from severe thunderstorms, such as supercells, so that is where the story begins. Thunderstorms, and the weather associated with them, need four ingredients: sufficient moisture, lift, instability, and shear. This is because they start out, basically, as water and heat. In the spring and summer months, the Sun beats down on the ground, heating the surface. The air on the surface warms up and, because warm fluids (like air) are less dense than cold fluids, it rises. As it rises, it carries moisture into the atmosphere, which cools and forms clouds. This is lift. 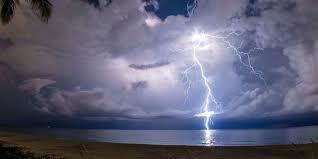 As the clouds grow, eventually, so much energy “builds up” that a thunderstorm develops. This is instability. Then, if the winds differ dramatically between the ground and the atmosphere, both in speed and in direction (i.e., wind shear), the thunderstorm will eventually begin to rotate, becoming a “supercell.” Finally, as air flows across the ground, updrafts (air moving upwards into the storm) “lift” the air from the ground to the atmosphere, causing rotation. If the rotation and energy are sufficient, the column of air forms a “funnel,” which eventually touches the ground and becomes a tornado. Because tornadoes, and the processes that create them, generally require the right amount of moisture, lift, instability and shear, they are rare. However, some of the most prolific tornado outbreaks, such as the 1999 Oklahoma Tornado Outbreak, generally happened with frontal interactions, particularly in Tornado Alley. This is because, in Tornado Alley (which stretches from North Dakota to Texas), warm, moist air masses can interact with cool, dry air from the Rockies and western regions. This allows for moisture to be lifted quickly, developing thunderstorms. The air masses are also associated with wind shear, meaning that under the right conditions, they can “spin up” tornadoes. It is important to reemphasize that tornadoes are rare due to the needed conditions. After all, tornadic storms make up less than ⅓ of all supercells, which they are the rarest type of thunderstorm. However, because they come with high winds, which can level even well-built homes and ruin lives, knowing how to react is important. To prepare, make sure to have an emergency kit ready for any major weather hazard. Have a means to contact your family ready for a disaster before it happens. Make sure to have a means of getting tornado watches and warnings, such as a weather radio or your favorite weather station. If a tornado does come and you’re in a home, get in the lowest, most inner part of the building, such as a basement or windowless bathroom or closet, and hunker down. If outside, find a shelter and get in it, or get into a low-lying area and hunker down. And after an emergency, keep your family together and wait for instructions, and avoid hazards. This is in addition to avoiding hazards of severe thunderstorms. In summary, tornadoes come from extraordinary conditions that essentially turn the clouds that we love and admire into monsters. When that happens, make sure you know what to do in case it happens. This becomes more important as we head into the spring and summer months.